Starbucks is offering a sweet discount in their online shop today for Leap Day! 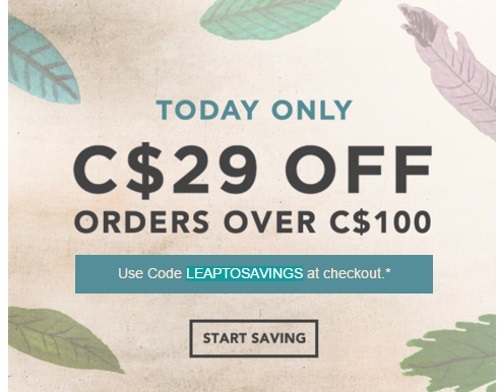 Save $29 off orders of $100 or more! Enter the promo code LEAPTOSAVINGS at checkout. Offer excludes Starbucks Cards, Verismo System, Starbucks Reserve Subscriptions and Starbucks Reserve coffees. Cannot be combined with any other offer. Ends February 29, 2016 at 11:59 p.m. PST.